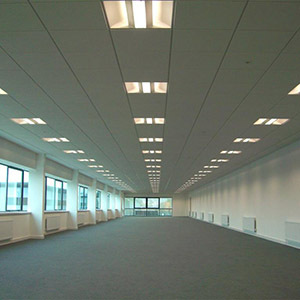 We install new suspended ceilings using different types of lay-in grids and tiles. We install plasterboard MF ceilings, incorporating rafts, change of levels, featured bulkheads etc. We install acoustic lay in grids or MF plasterboard ceilings to achieve noise reductions, to comply with fire rated regulations and offer a range of solutions when you need insulated ceilings. We offer a ceiling grid repair and tile replacement service.